Scotland economy secretary Keith Brown was briefed on the topic ahead of the meeting. A Scottish Government minister failed to raise Russia's record on human rights during a meeting with the nation's top diplomat in Scotland. This was despite economy secretary Keith Brown being briefed on the topic ahead of the talks. 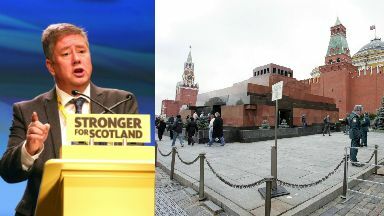 Brown met the Russian consul general, Andrey Pritsepov, in his office inside the Scottish Parliament on March 15. The meeting was requested by Pritsepov with the aim of developing closer economic ties between the nations. Emails released through a freedom of information request between both governments, and minutes taken at the meeting, show the Russian government is keen to drum up business for the city of Kaluga. Additionally, the Russian government is keen for a permanent Scottish Government-funded trade hub to be established in the country. The Scottish Government condemns human rights abuses wherever they take place. An extensive briefing paper was prepared for Brown ahead of the meeting, with the Foreign Office in London providing information on Russian human rights abuses, sanctions against the state and an overview of the country. Minutes of the discussion show Brown did not raise Russia's record on human rights during the course of the talks. A spokesman for the Scottish Government said: "The Scottish Government condemns human rights abuses wherever they take place. "We are committed to engaging with the Russian government on human rights - and respect for human rights and the rule of law underpins all of Scotland's dealings with Russia." It is the second instance of human rights not being brought up by a Scottish Government minister when meeting representatives from authoritarian regimes in a six-month period. In September last year, external affairs minister Fiona Hyslop did not raise the subject when meeting with a Chinese delegation at Holyrood. Amnesty International says "serious human rights violations" including "extrajudicial executions" have been carried out in the region of Chechnya. It adds freedom of assembly, expression and association has been curtailed more widely in Russia. In May, Russian newspaper Novaya Gazeta and the Guardian reported around 100 gay men had been illegally detained and tortured in Chechnya. Earlier this year the Russian government banned Jehovah's Witnesses from operating in the country due to alleged "extremism" by the Christian denomination. All places of worship belonging to the church and any other properties across the nation will be closed and seized by the state. Failing to mention human rights when meeting with some of the world's worst abusers is becoming an unfortunate habit for this Scottish Government. Labour MP Danielle Rowley said: "It's deeply disappointing that Keith Brown failed to raise human rights with the Russian consul general. "Vladimir Putin's regime is responsible for the imprisonment of countless human rights activists and protesters and his government is one of the most homophobic in Europe, with stringent anti-gay laws." 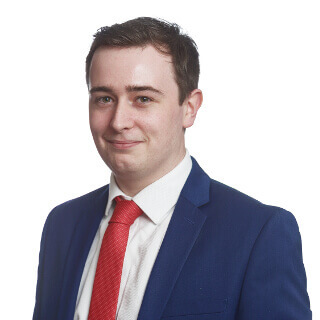 Green MSP Ross Greer said: "Failing to mention human rights when meeting with some of the world's worst abusers is becoming an unfortunate habit for this Scottish Government. "If they wish to play a constructive role on the world stage, either as an independent or devolved government, then they really must reassess their approach to challenging international human rights abuses." He added: "In today's Russia, gay Chechens are being executed and sent to camps while Putin's air force continues to indiscriminately slaughter thousands of civilians in Syria in support of the murderous Assad regime. "The SNP prides itself on being a rights-respecting government so why fail to bring this up when provided with the briefing material to do so?"